A vampire bat came flapping in from a night of foraging, covered in fresh blood. He parked himself on the cave's roof to get some sleep. Soon all the other bats smelled the blood and began hassling him about where he got it. "OK, follow me." 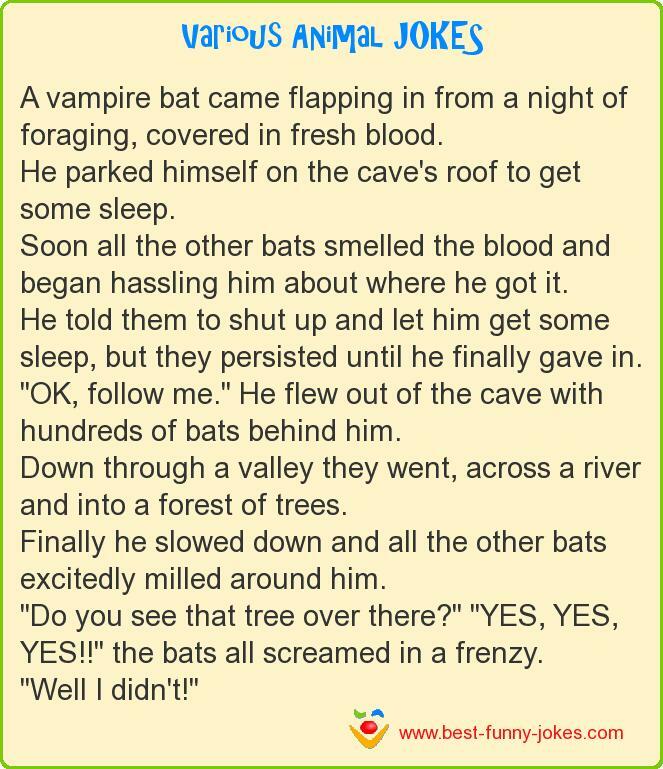 He flew out of the cave with hundreds of bats behind him. "Do you see that tree over there?" "YES, YES, YES!!" the bats all screamed in a frenzy.